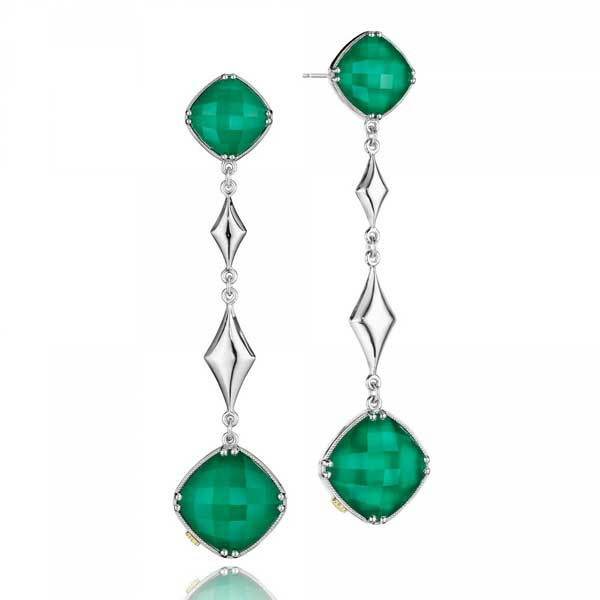 Dazzle everyone with the refreshing color of green in these fabulous earrings from the City Lights collection by Tacori. Diamond shapes are crafted in sterling silver and drop from square green onyx gemstones that are layered with clear quartz. A second green onyx finishes the look with bold elegance. From day to night, these amazing Tacori earrings will elevate your style.